The erstwhile Nalla Mar, a canal that crisscrossed the old Srinagar, it was filled up recently to pave way for a road. Kashmir’s water bodies and rivers were naturally connected making transport of goods and passengers through boats an ideal means of transport across the valley even inside major urban centres. “Water transport was the main means of transport even after the advent of buses and other road transport. Road transport came into the city after 1953. Before that Tonga was the only road transport,” says Ali Muhammad Lone of Buchwara, Dalgate. Traditionally people used to travel to different places by boats. Goods were transported through Jehlum from Khanbal to Baramulla. Everything from timber to rice was ferried through boats known as Bahatsi. “Then paddy, not rice, was sold to people, who would husk it manually in their homes in a large stone mortar using long wooden pestles. Other commodities like spices were also ground at homes,” says octogenarian Lone. The vegetable market. Then everything was linked to water ways. Commodities like food items would be dispatched to various government stores which were situated on river banks, or near streams. The government food stores/ distribution points are locally known as Ghats (a broad flight of steps leading to a water body) as all these were situated on riverbanks. Many things are gone but the names of the places associated with water transport have not vanished completely. The channel at Dal Gate is known as tsoont kol because there were many quinsy trees on its banks. And Quinsy in Kashmiri is known as bamb-tsoont, hence giving it a name tsoont kol. 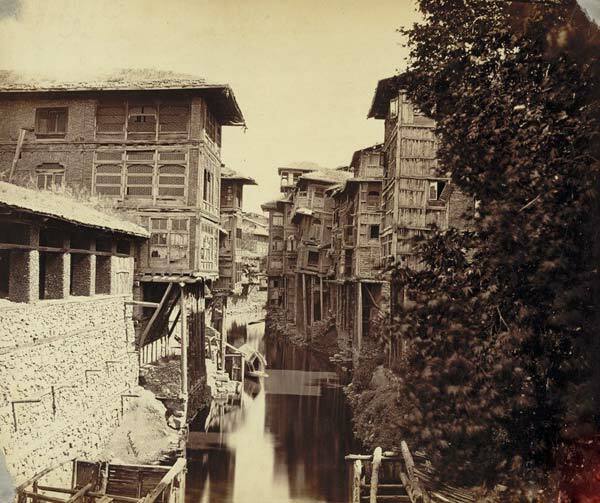 Apart from lakes Anchar, Dal and Nigeen, River Jehlum was connected to all the localities of Srinagar city via small streams or rivulets, some of which had houseboats where tourists stayed. “Tourists used to prefer staying in the houseboats of tsoont kol,” said Lone. Tourists would visit parks and historical sites using boats. A few years back when Saif-u-din Soz was the union water resources minister, he had talked about reviving the waterways and reintroducing water transport in Kashmir. However, illegal encroachments and lack of planning on the part of the government has shrunk the water bodies and rivulets in Kashmir making revival of water transport a difficult job. Experts say, in addition to reducing traffic problems, revival of water transport can boost tourism also as people used to visit Mughal Gardens or different historical sites, which are also situated on the banks of rivers, through water transport. Water transport was not only used for transporting goods and passengers, but for picnics like Dal sael too. Dal sael literally means visiting Dal though it is not limited to visiting Dal Lake only. It starts from Batimazaar, from there a person could go to Tailbal channel, Shalimar garden channel, Meerakshah channel, Suon lank, ruop lank etc. “ Traditionally, whole families and then it were joint families, would go for Dal sael,” says Lone. Dal Lake would freeze in December and January but as soon as the freeze would end people would rush for Dal sael. “It is not possible in one day; therefore people had to stay for nights together with wazwan, Kehwa sometimes even a band of musicians. Such arrangements would be pre planned. Fresh air, lotus, lotus stem, fishes, chestnuts, and many more used to attract people to Dal Lake,” said Boatman Abdul Gani Dar. 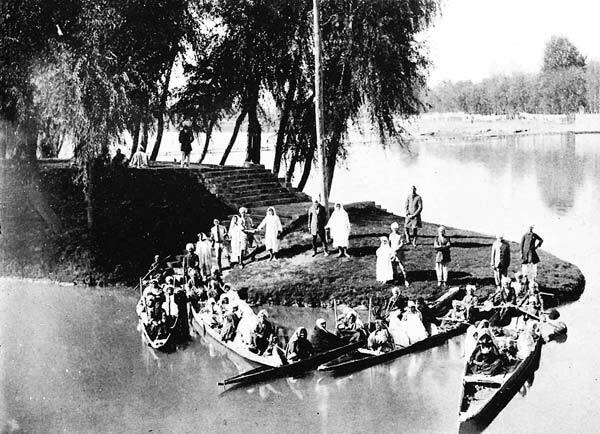 Dal sael was done in special boats known as Dungboat in Kashmiri. Some Dungboats are present in Dal lake but no longer used for Dal sael. Dungboat is smaller than the house boat and unlike houseboats, Dungboats are movable. 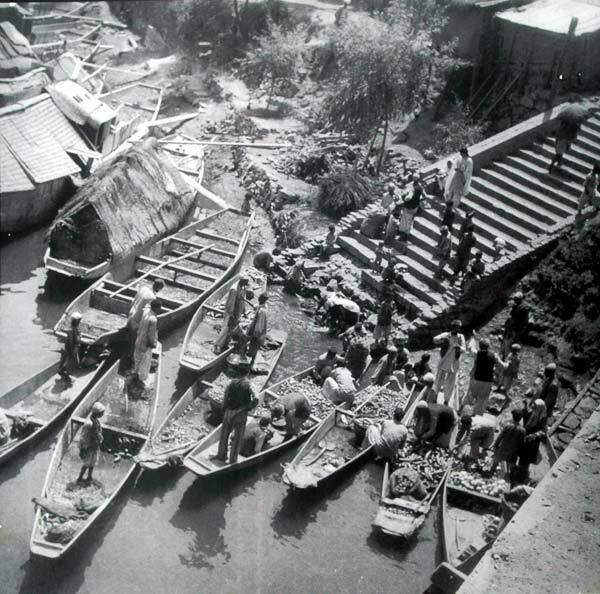 Dungboats were made of deodar (cedar) wood and were rowed by oars and long wooden poles locally called hamtul. A big dungboat would accommodate 20 to 25 people while as a smaller one would house 10 to 15. It used to take half a day to travel from Baatimazaar to Shalimar gate. The demand was good and people had to book a Dungboat in advance. “It was specially designed for sightseeing. It has two rooms and two kitchens. One kitchen, two rooms for the guest and another kitchen for the host. Family of the Dungboat’s owner used to live in it permanently and was shared by the visitors during Dal sael,” says Dar. “In my 24 year old career in this department I have never seen anybody going for a Dal sael. It is simply not done now,” said Dilshada, an employee, in Lake Sub-Division Dal Gate, Lakes and Waterways Development Authority. She believes that a busy life style leaves no room or time for a long picnic like Dal sael. “In the past people had plenty of time but now everybody is overly busy,” she said. People have stopped constructing Dungboats as there is little demand for them and the cost of cedar wood used to build these has skyrocketed over the years. In the past water from Dal Lake was supplied from sarband in Harvan through pipe bund to the whole city because in those days water was clean and drinkable. ‘Those coming for Dal sael used to drink this water. Now it is so polluted that nobody would like to dip a finger in it, said Dilshada. “Dal Lake has many parts like Nishat Dal, Shalimar Dal, Hazratbal Dal. Nishat Dal and Hazratbal Dal have islands each with a set of four chinars. These chinars have their own name, fame and economic significance,” said Dar. Island situated in Hazratbal Dal is known as Suon lank or Char chinar and while that of Nishat Dal is known as Ruop Lank. It is a picnic spot in Dal Lake where people visit by shikara boats. Through Dal Lake, people used to visit Badamwari to see the almond blossom, Mughal gardens like Nishat, Shalimar, Harvan.